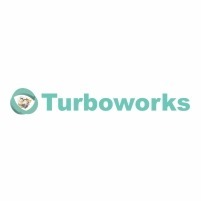 Turboworks cc is a supplier of new and remanufactured turbochargers. We offer a practical and attractive alternative to new turbochargers in terms of quality and price. All deteriorated parts as well as all bearings and seals are replaced with new OEM specified parts. All turbochargers undergo the same remanufacturing process, which ensures that our customers receive a product which will be as good as new. Our modern workshop is equipped for removal and fitment of turbochargers on all passenger vehicles-types, bakkies and off-road vehicles. Our mechanics are trained to find the root-cause of initial turbo-failure and to fix it. This one-stop service saves our customers time and money, as their vehicles are worked on by a team consisting of mechanical- and turbocharger specialists. If your turbocharger is not faulty, our diagnostic-equipment will pin-point the root-cause of the problem and we won’t change a turbocharger which is not faulty.